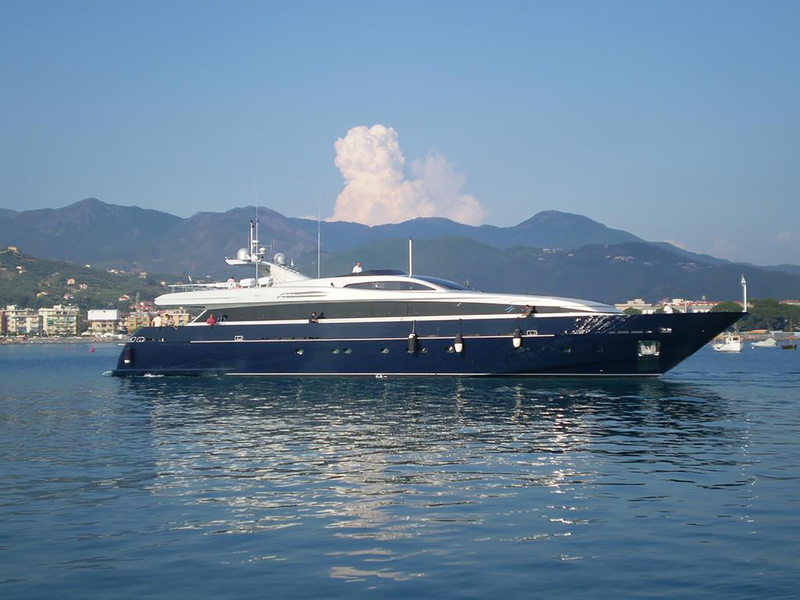 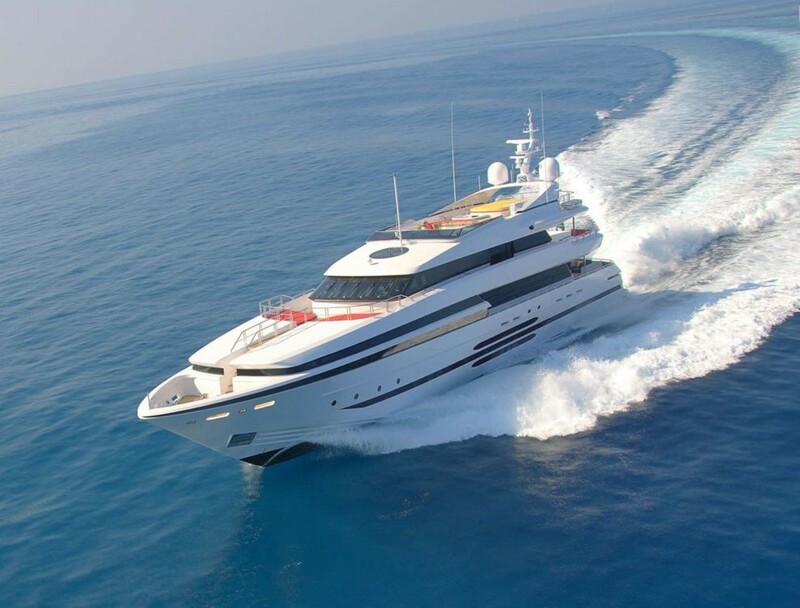 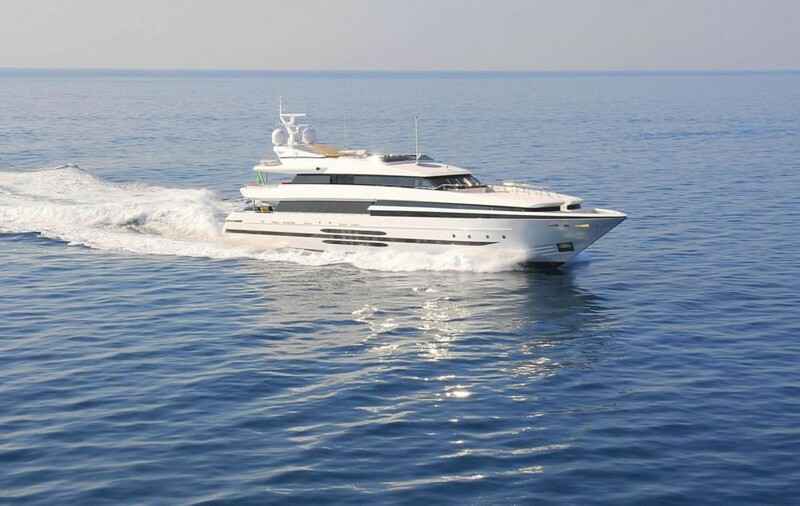 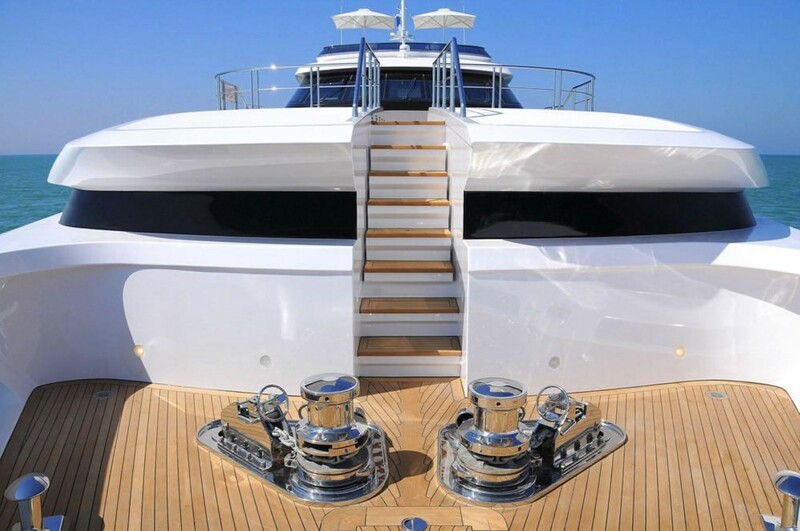 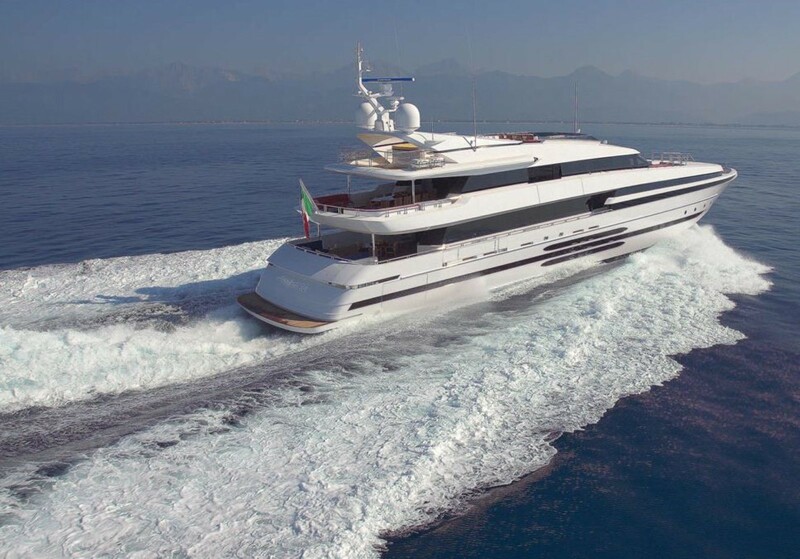 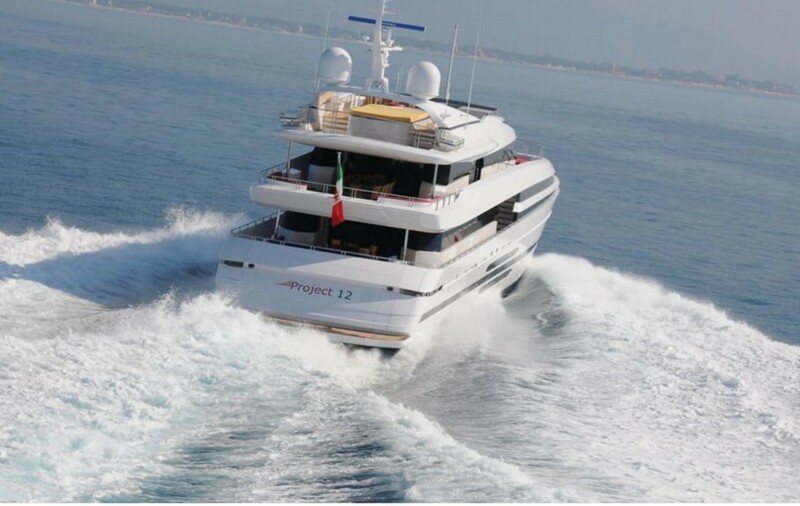 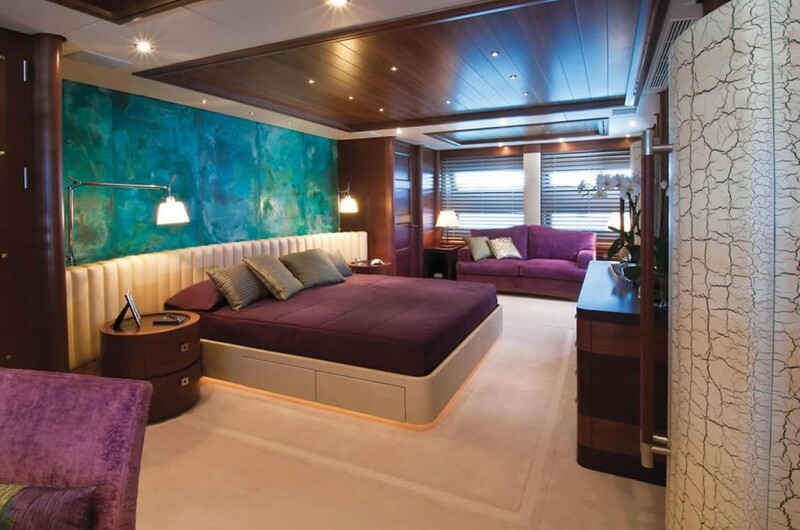 This 152.79ft /46.57m Akhir 153 motor yacht was built in 2013 by Cantieri di Pisa. 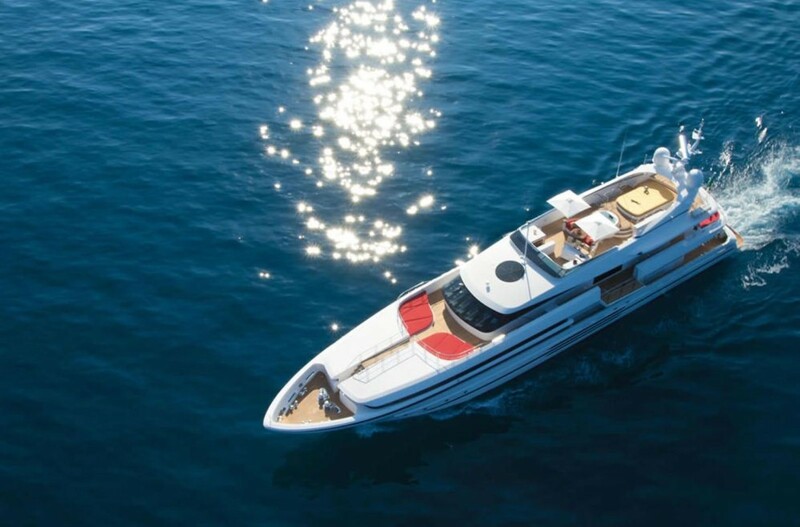 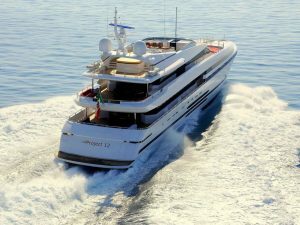 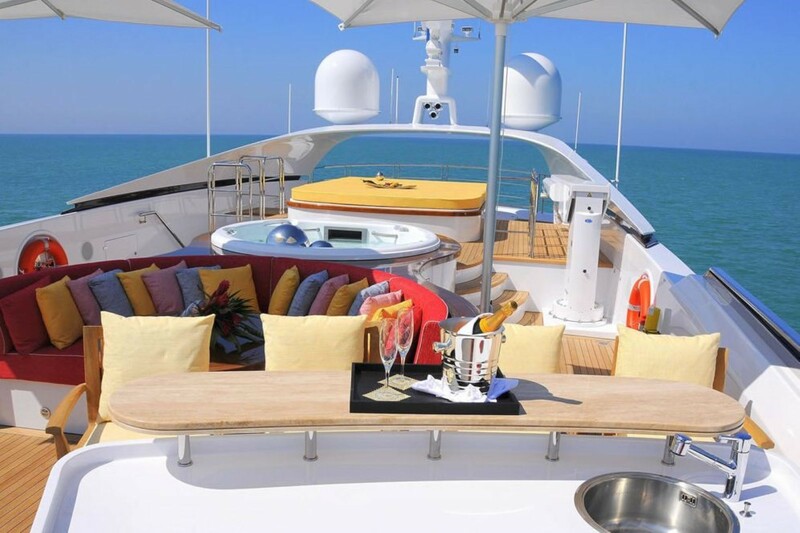 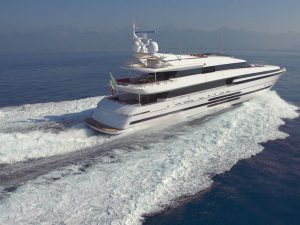 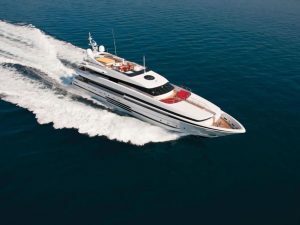 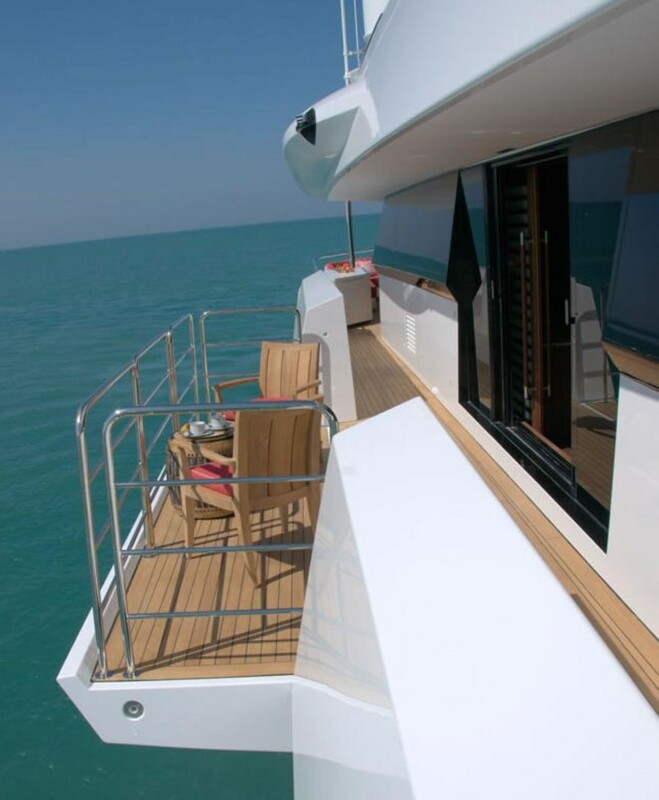 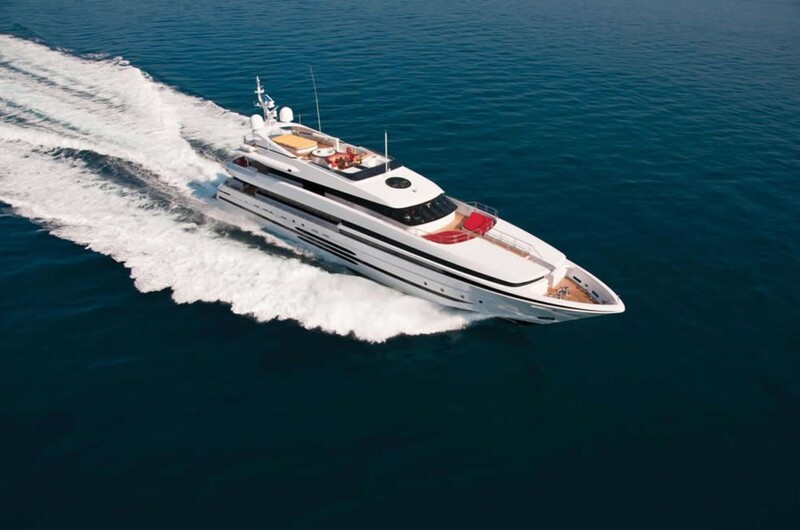 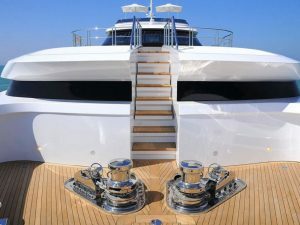 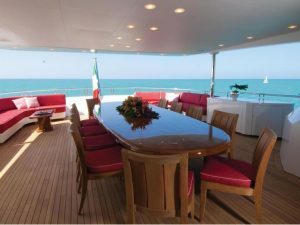 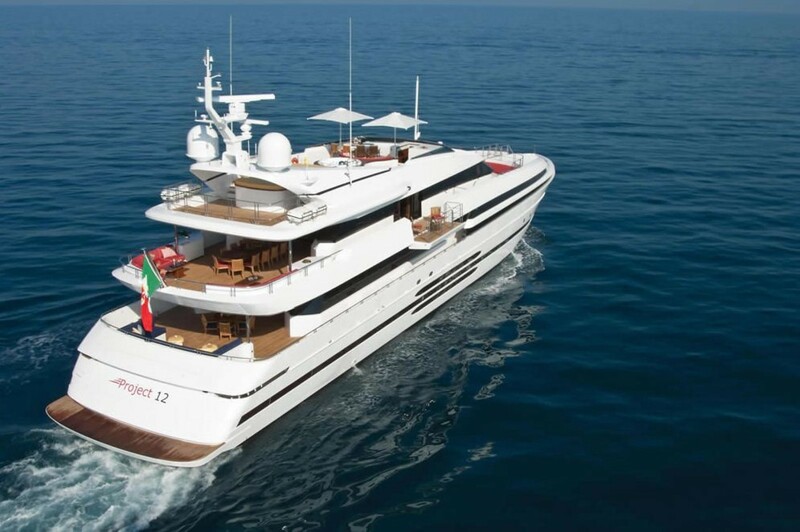 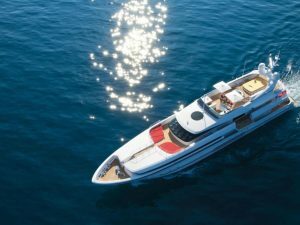 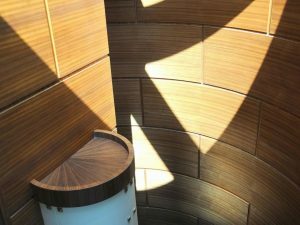 Her luxurious interior is designed by Cantieri di Pisa and her exterior styling is by Carlo Galeazzi. 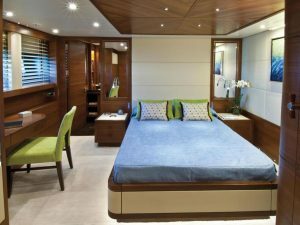 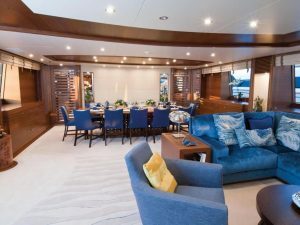 Her interior layout sleeps up to 14 guests in 6 rooms, including a master suite, 1 VIP stateroom, 2 double cabins and 2 twin cabins each with a pullman bed. 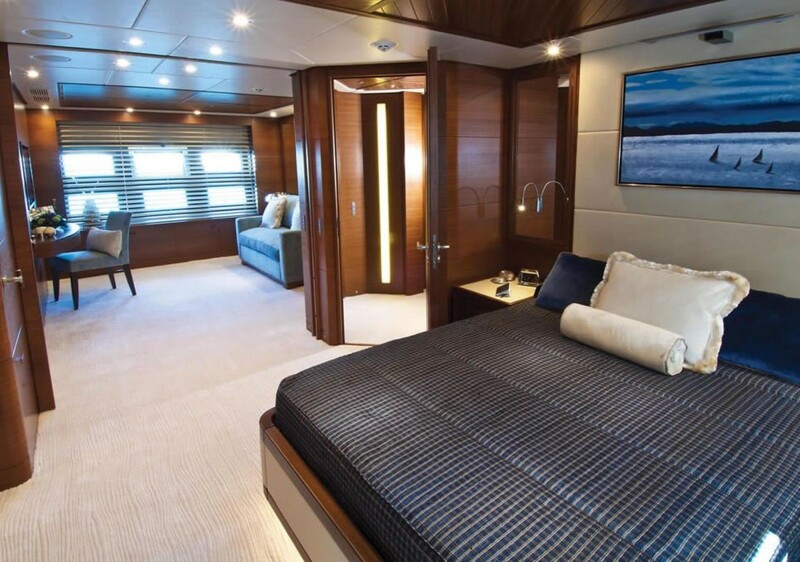 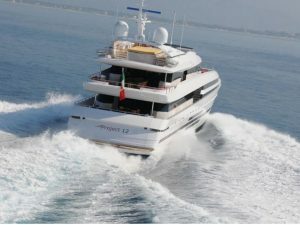 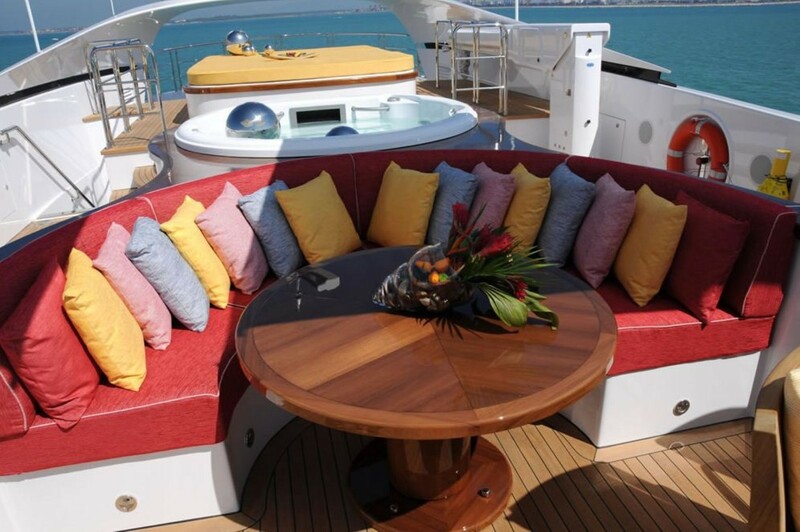 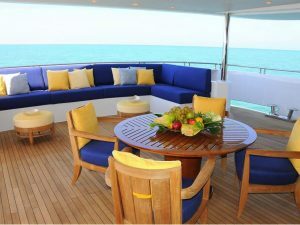 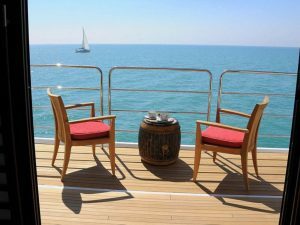 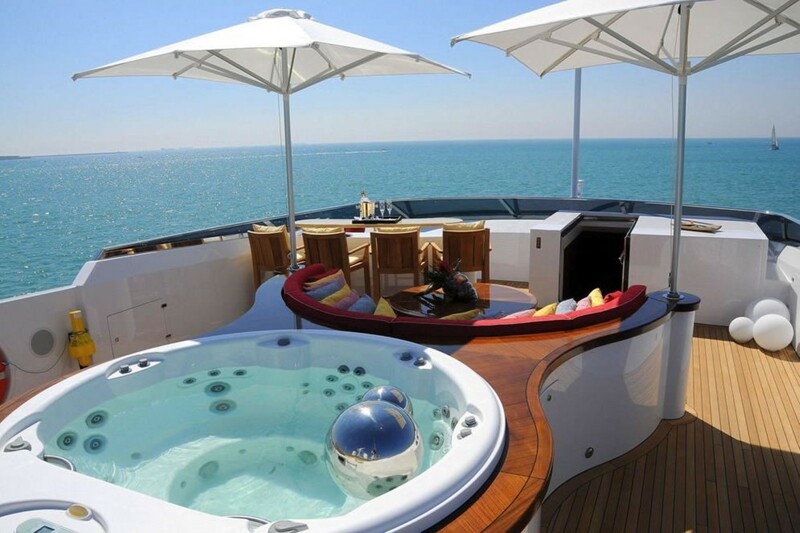 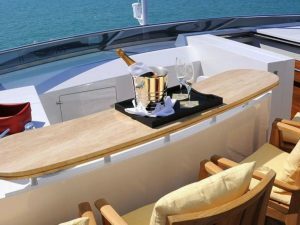 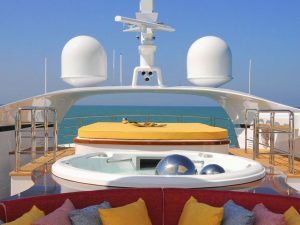 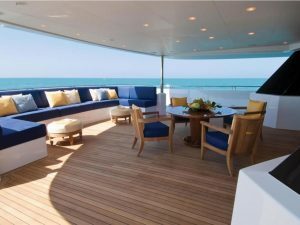 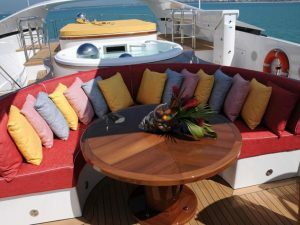 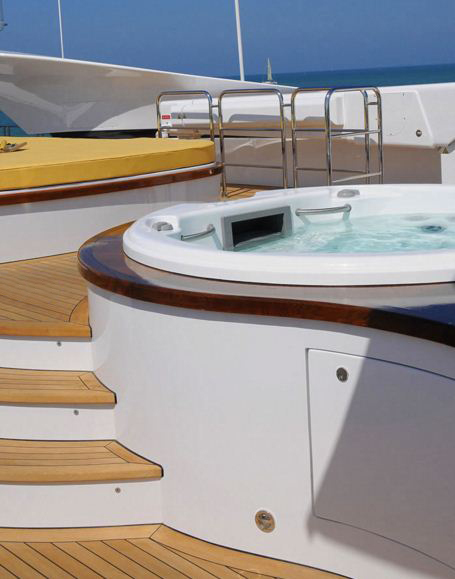 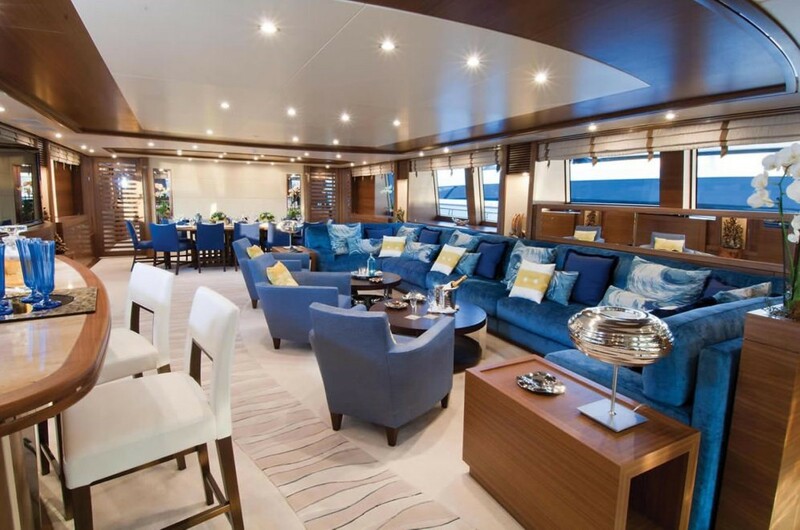 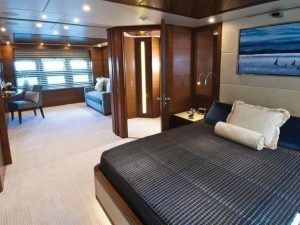 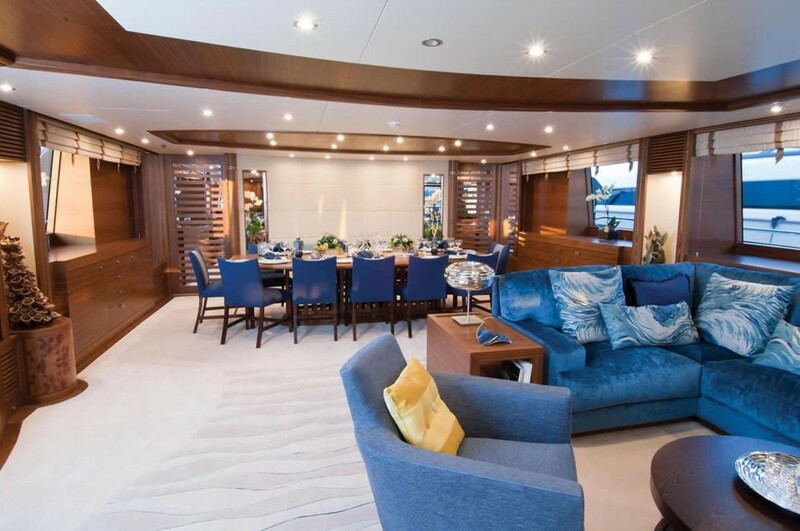 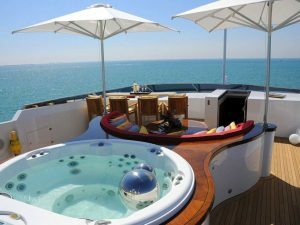 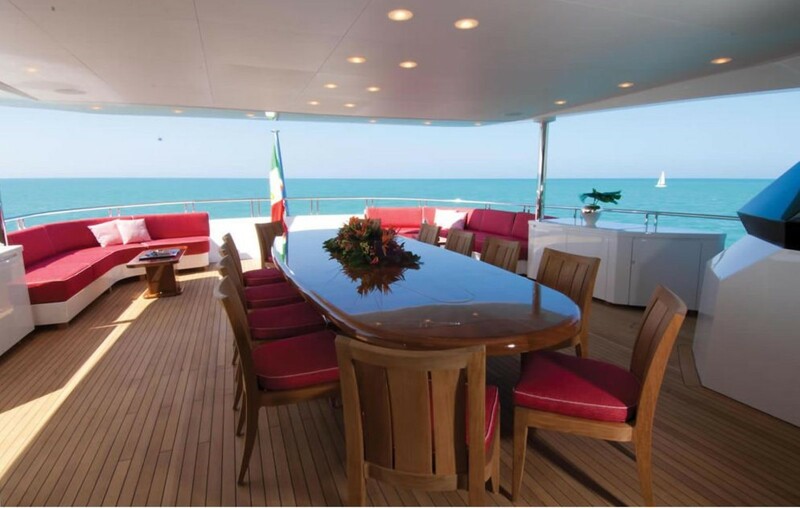 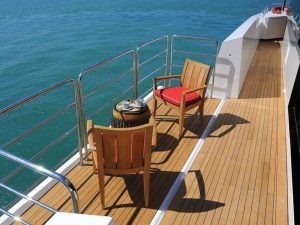 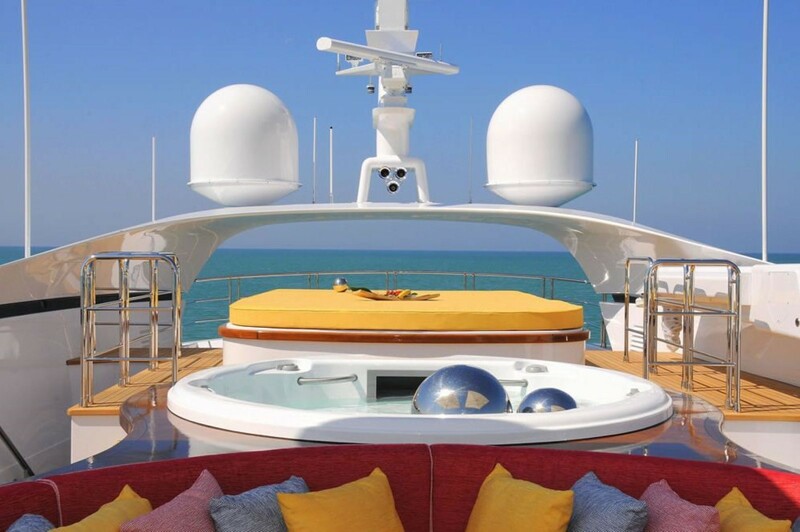 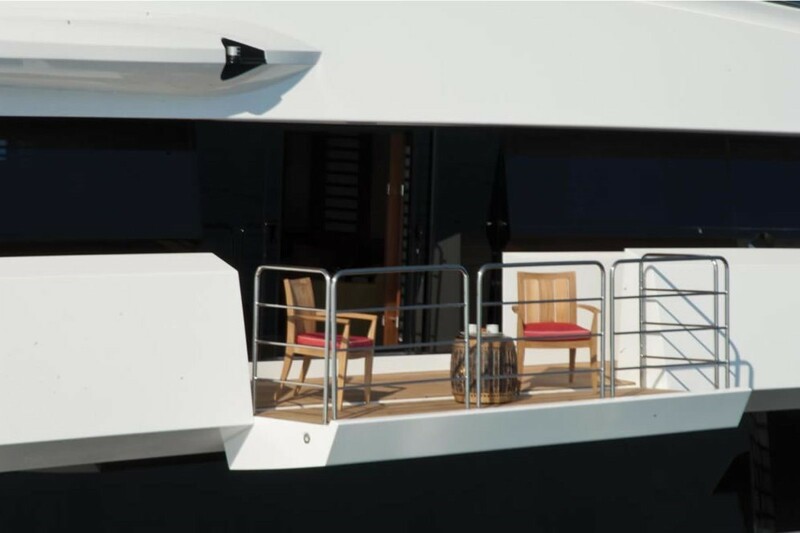 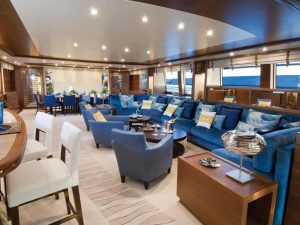 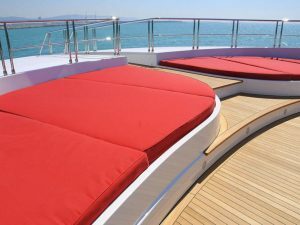 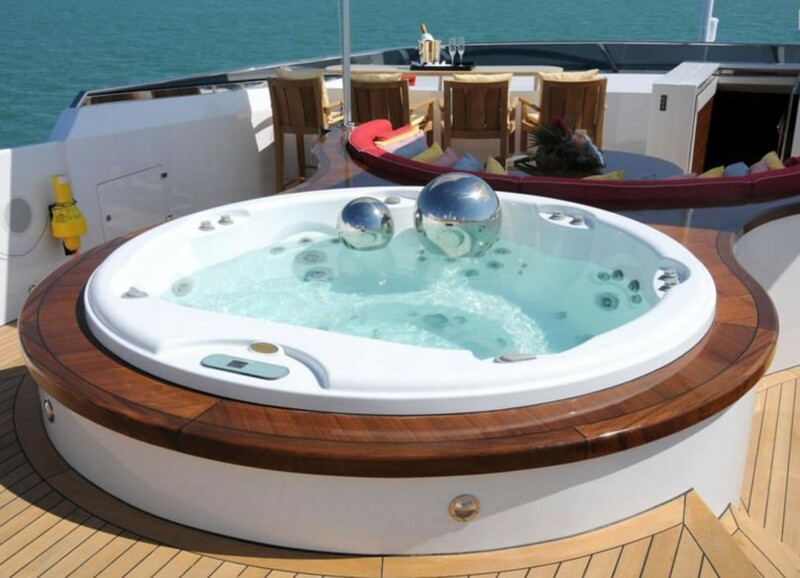 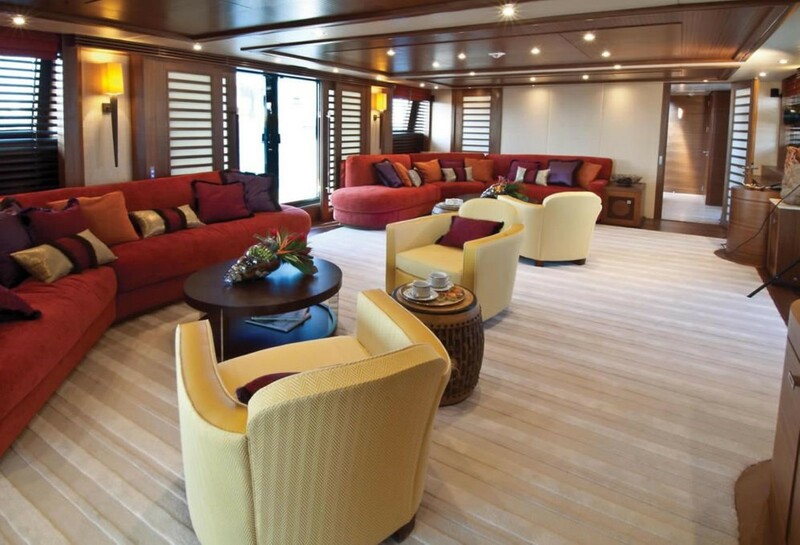 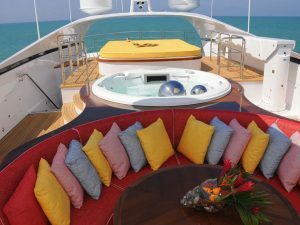 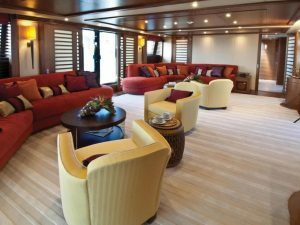 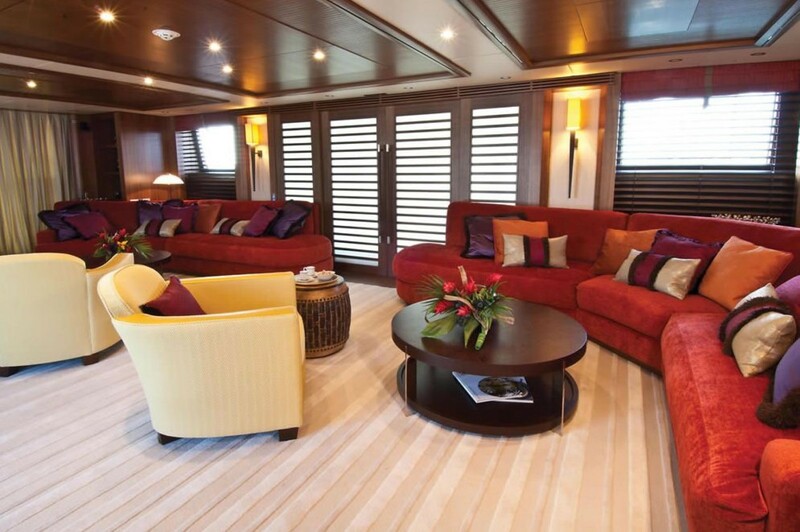 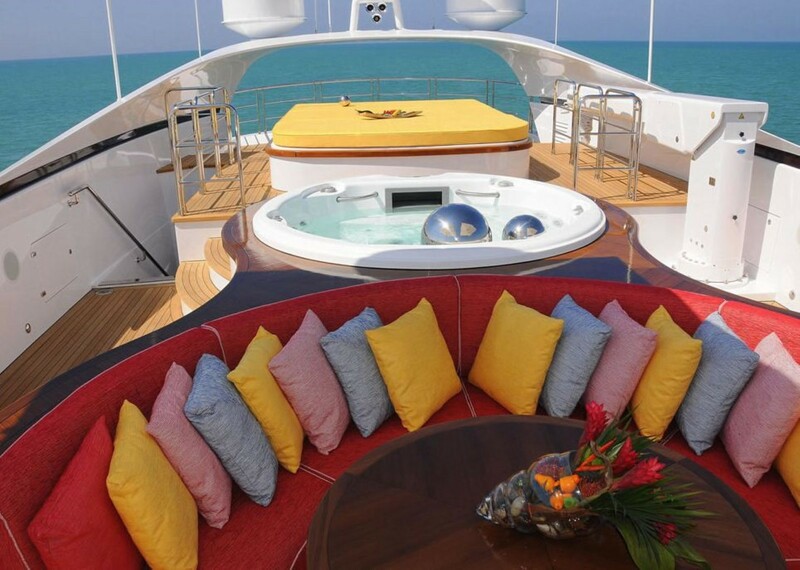 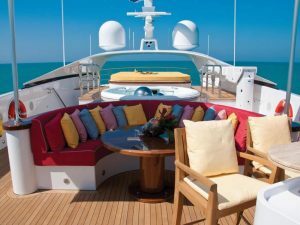 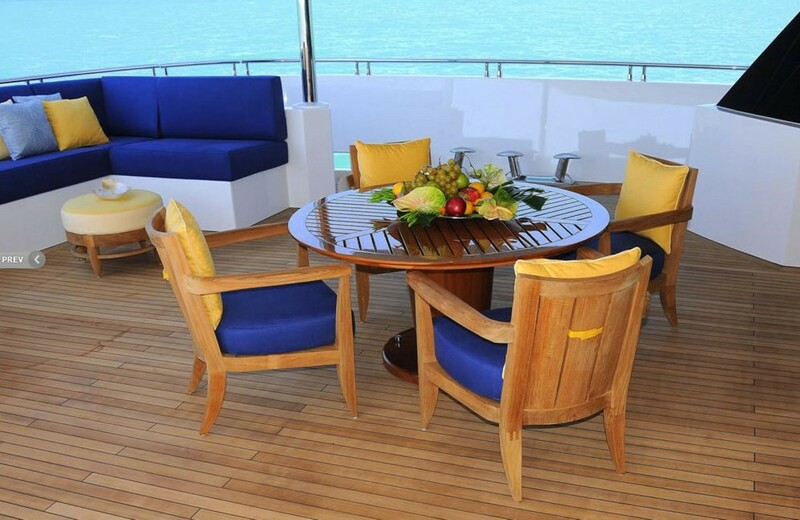 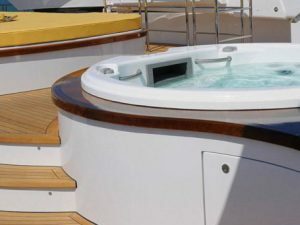 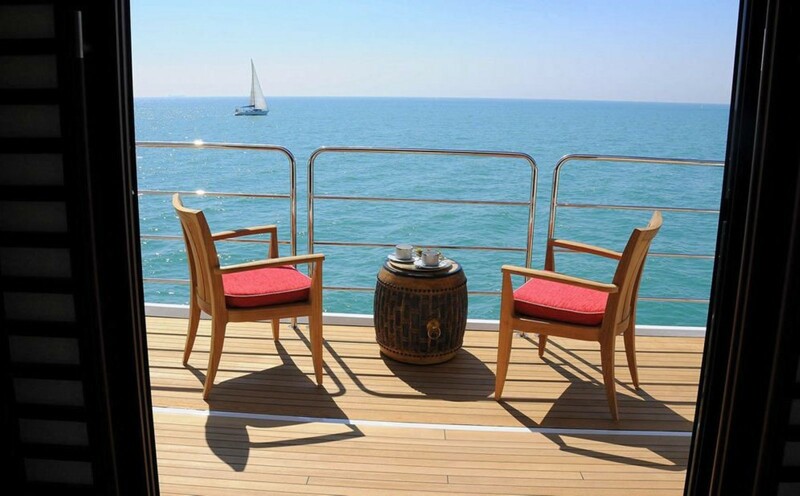 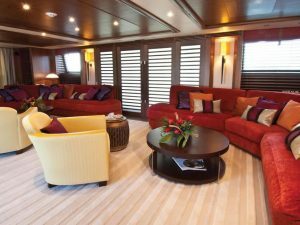 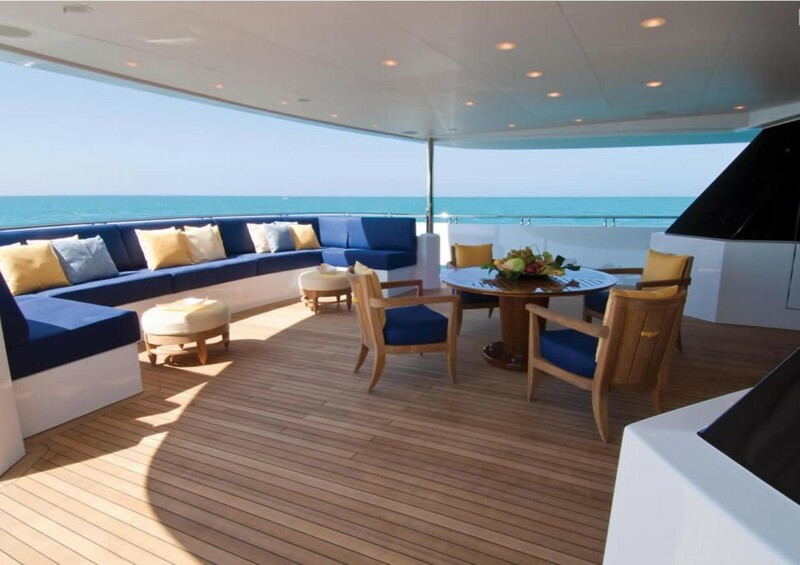 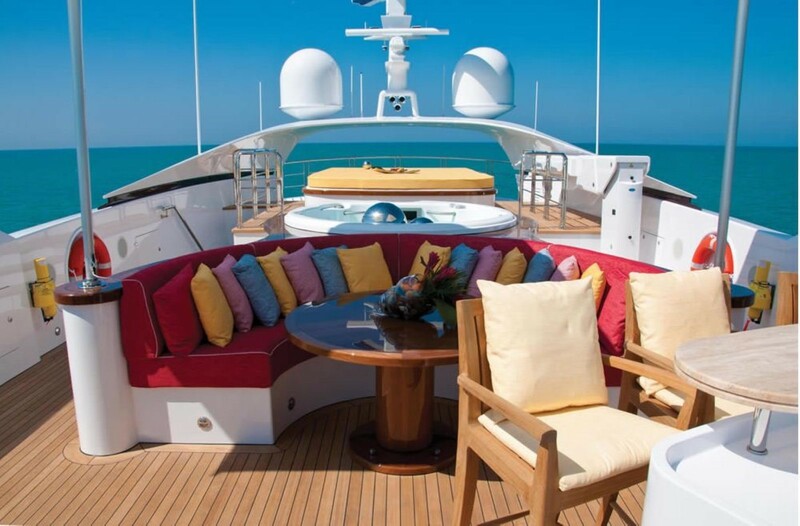 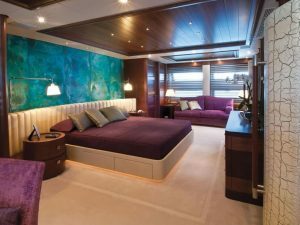 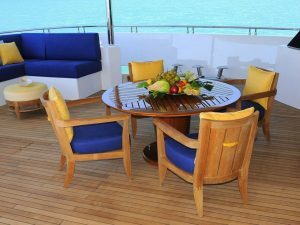 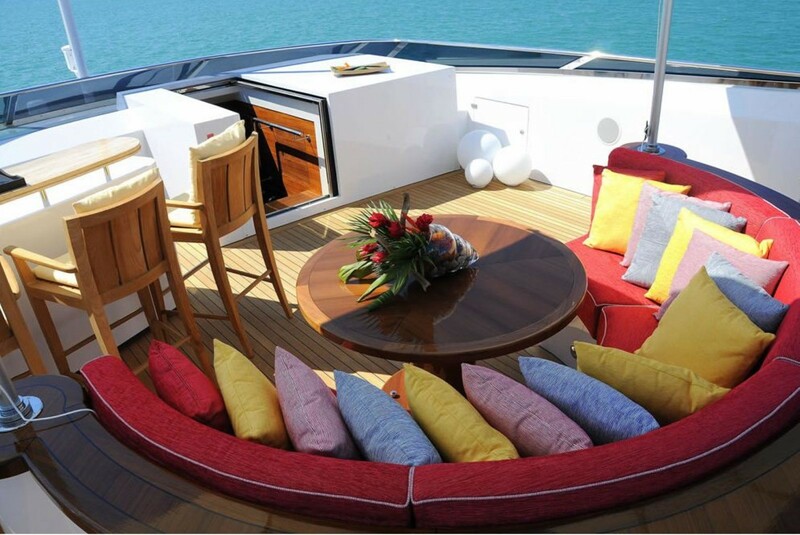 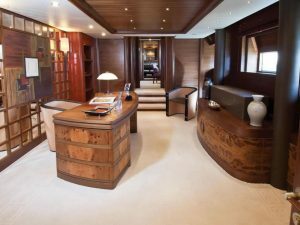 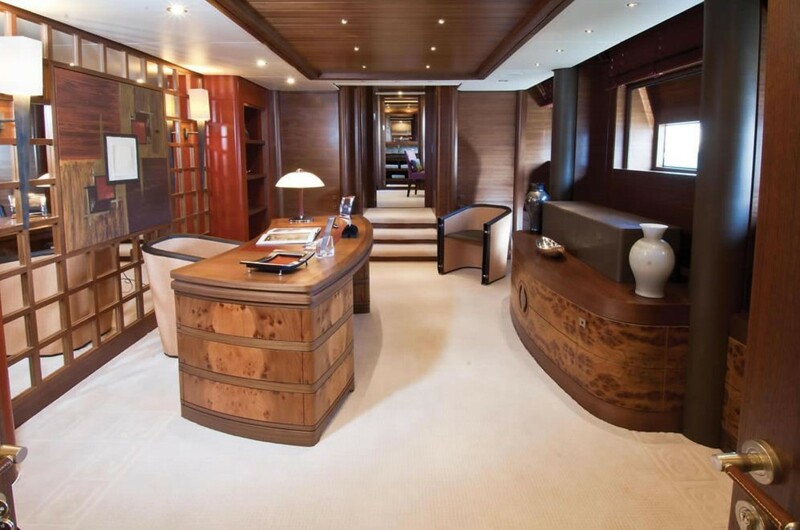 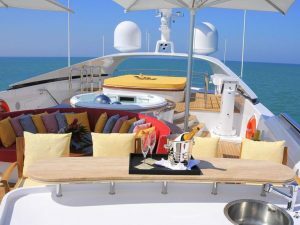 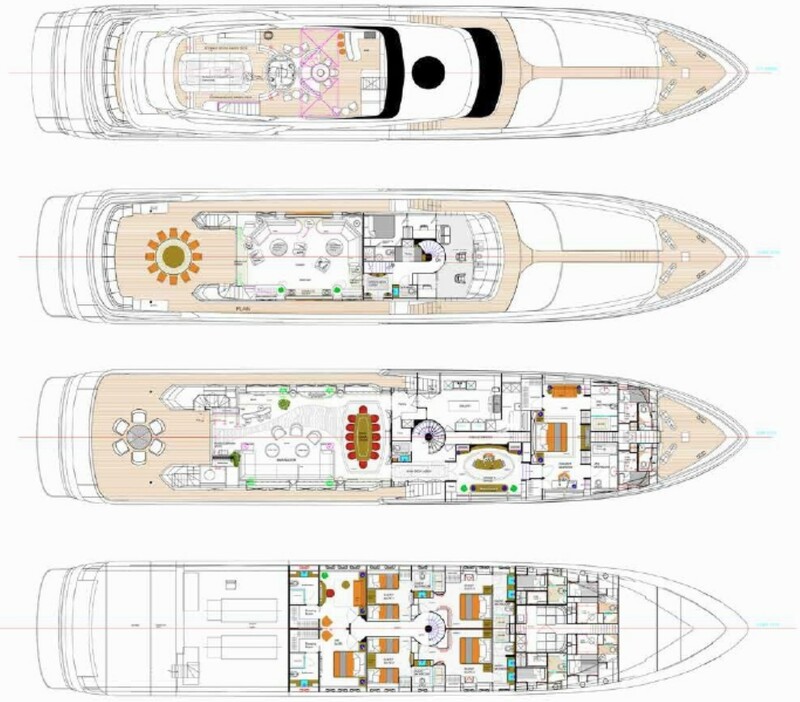 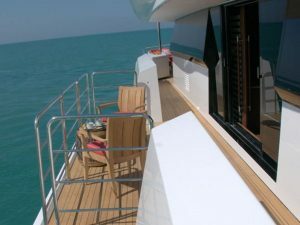 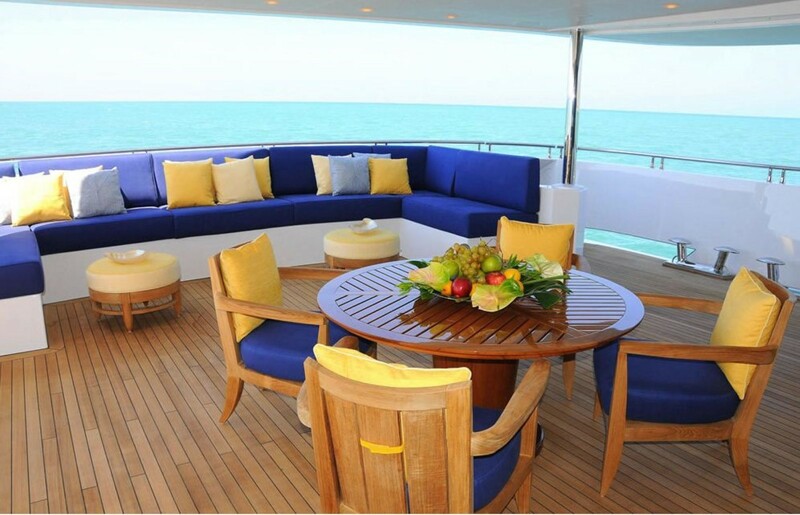 Moreover, she offers the possibility of closing the VIP in lower deck and creating a 7th cabin. 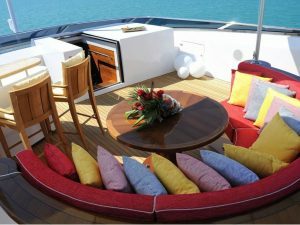 Furthermore, she is characterised by her timeless styling and beautiful furnishings that create an elegant and comfortable atmosphere. 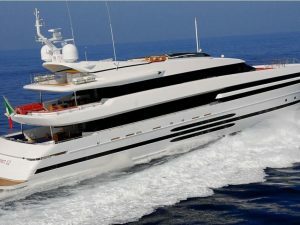 She has a composite hull and GRP superstructure. 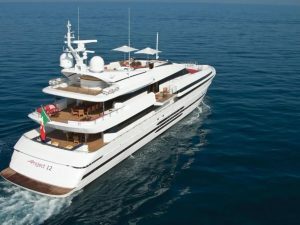 Moreover, she features ‘at anchor stabilisers’ which work at zero speed, thus increasing onboard comfort at anchor and on rough waters. She is built to comply to MCA and ABS standards. 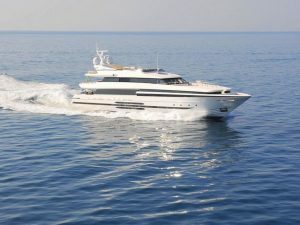 She wears two MTU engines of a total 9340 hp and cruises at 22.5 knots, while she is capable of reaching a max speed of 25 knots. 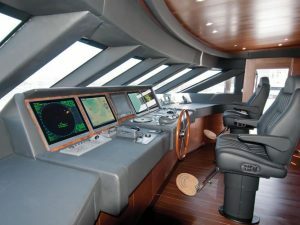 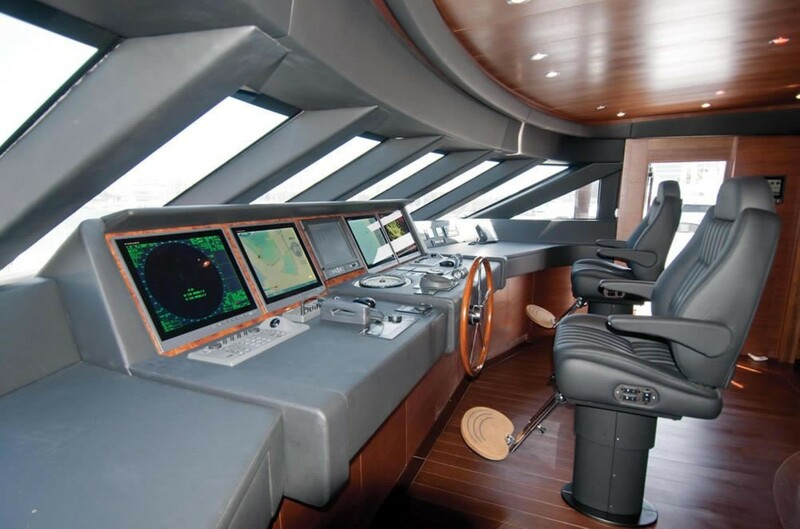 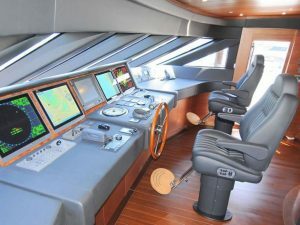 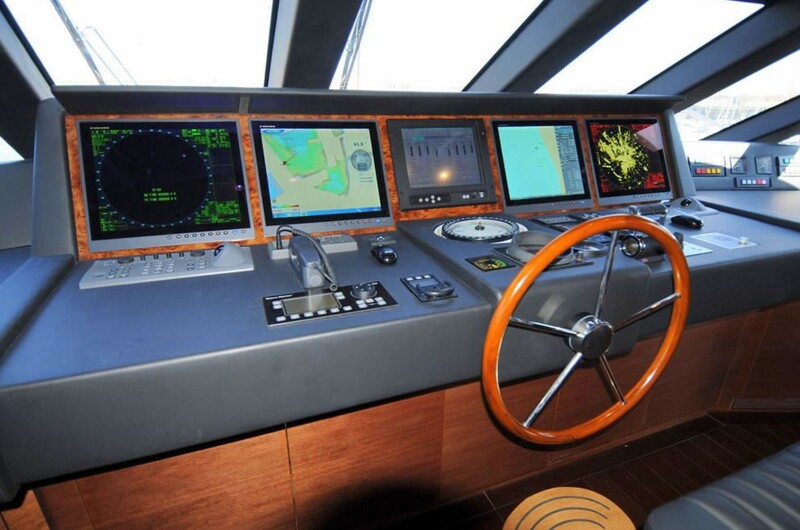 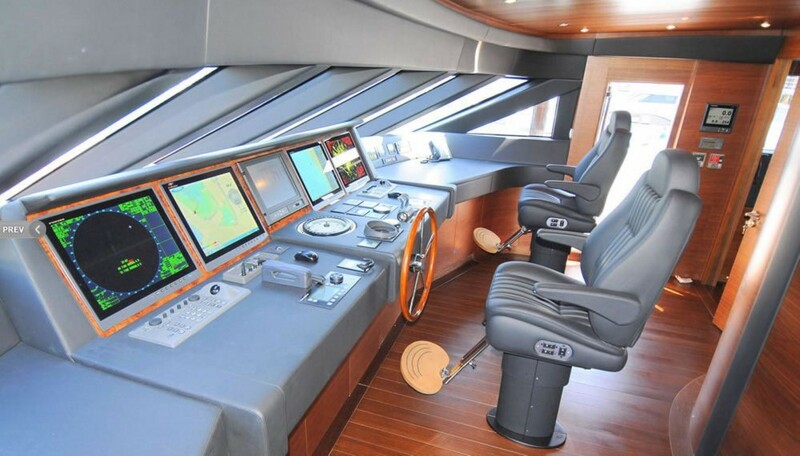 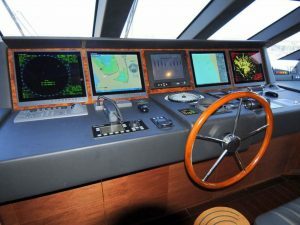 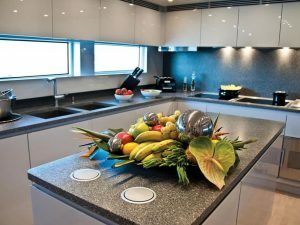 A fire detection and alarm system in the machinery space and throughout the accommodation, electric alarm panel fitted in the wheelhouse, with smoke and heat detectors, Panic Button and alarm bells. 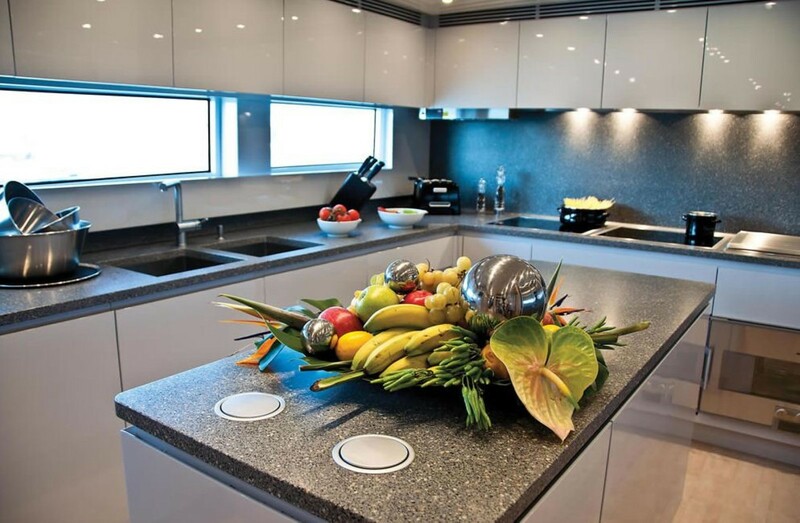 A 5 Litre CO2 fire extinguisher in the Machinery Room and close to the electric switchboards. 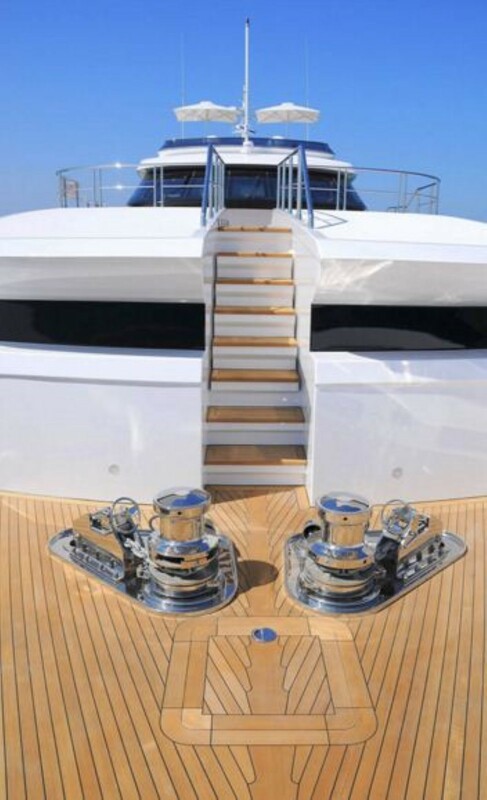 A Fire Main water system complete with spray/jet/shut off nozzles and 15 meter fire hose. 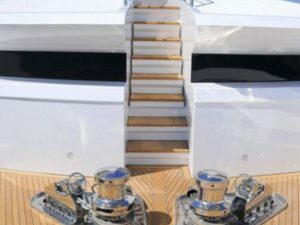 A fixed fire extinguishing system, shall be installed in the machinery compartment. 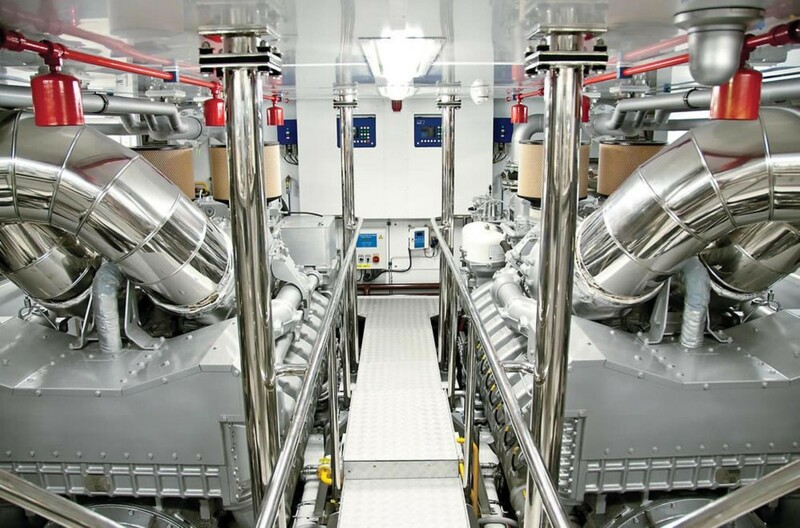 One portable Foam Applicator in engine room, complete with pick up tube and 2x20 litre drum protein foam compound. 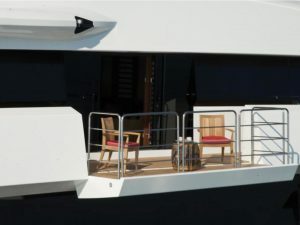 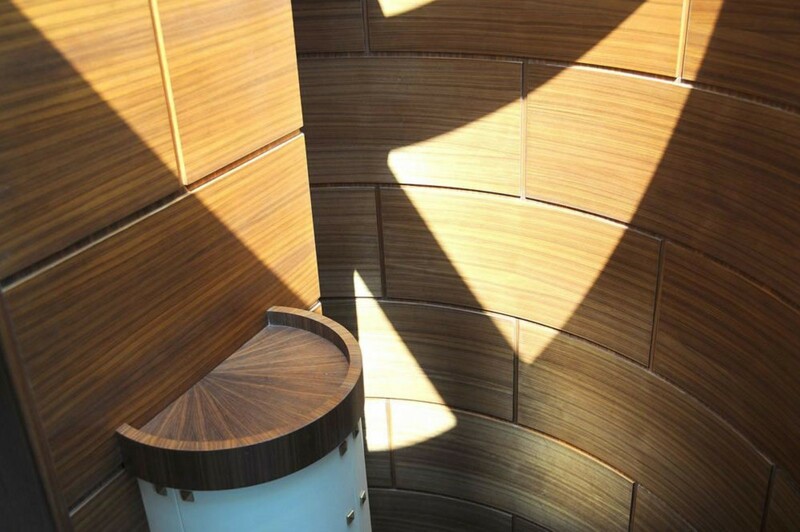 The galley exhaust ducts shall be fitted with local manual control shutters. 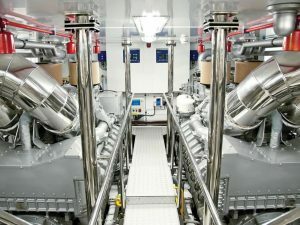 Two 9 litre portable Foam Extinguisher in the engine room. 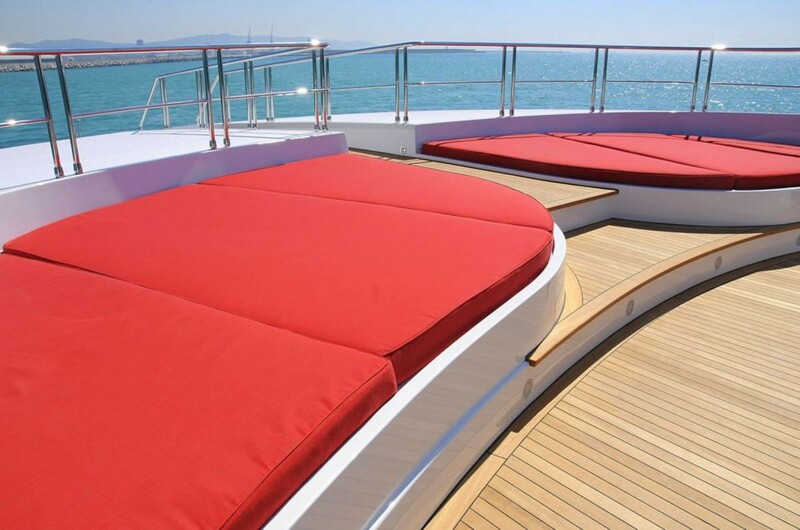 Two Fire Blankets, coated glass fibre, 180x120 cm, one in the galley and one in crew mess.